Need a screwdriver? Look no further. We have a vast selection of screwdrivers for all profiles and from the leading manufacturers such as Facom, Wera and Wiha for purchase as both sets and individual screwdrivers. We also stock screw extractors from manufacturers such as Dormer and our own RS Pro range of tools. 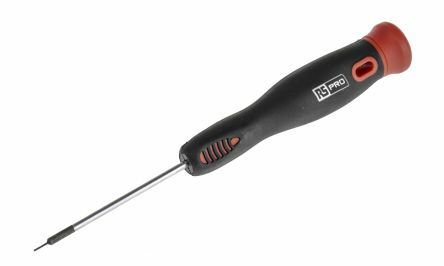 Ratchet Screwdrivers – this screwdriver type only allows the user to apply force in one direction, whilst allowing movement freely in the other direction. User benefits are quicker screw removal and lessening the chance of distorting the screw head. Screw and nut starters – used to start screws which are in hard to reach places or too small to hold by hand. There are several different designs of screw and nut starter which are suited to either slotted or Philips (cross headed) screws. Screw starters have a small chuck which allows the user to screw to be inserted and held securely. Screw extractors – used to remove screws with broken, damaged or seized heads. Screw extractors are similar to a screw but has a reversed thread. The screw extractor cuts into the head of the screw and the reverse thread of the extractor unscrews the damaged screw. 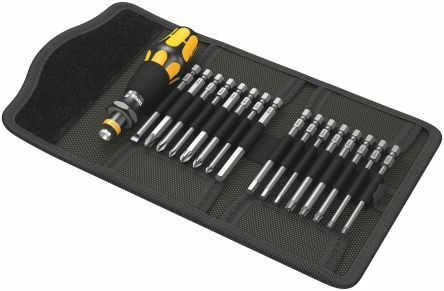 Screwdriver bits & bit sets – using the correct screwdriver bit is essential to make sure that screws are driven correctly. Badly driven screws may split timber along with damaging the head of the screw making them harder to remove at a later date. There are four common types of screw head; slotted, Phillips, Pozidriv and Torx. 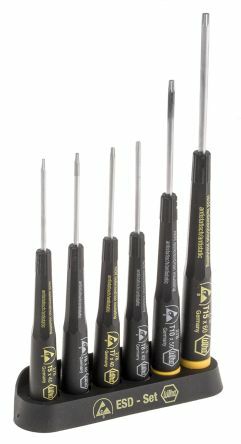 Screwdrivers – whether you are a tradesperson or a DIYer you have probably used or know about a screwdriver. Screwdrivers typically breakdown into three parts: tip type, the length of the shaft and the handle style. Dependent on the type of screw you are looking to drive will dictate the type of screwdriver you require. Popular tip types for screwdrivers are as follows: flat or slotted head, Phillips, Torx, Hex, Pozidriv, Robertson or square and tri-wing. Some screwdrivers come with interchangeable tips to suit different jobs. 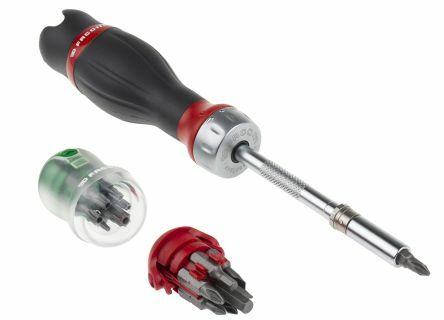 Torque Screwdrivers – A torque driver is a screwdriver which allows the user to tighten a screw to a specific torque. Precision ESD TORX® ScrewdriverChrome vanadium molybdenum steel blade, hardened throughout and matt chrome-platedChromTop® blade tip protects against corrosionDissipating handle with screw-on cap, electrostatic conduction, surface resistance 106 → 109 ΩSuitable for any work on components at risk of electrostaticity.